If you love nature and camping, then you need to try RV Camping at Fort de Soto. This state park features an expansive campground with 238 sites. Built to accommodate both families and youth camps, this area has sites perfect for any camper. The area itself is beautiful and rests on a gorgeous beach. For those who love primitive camping, they even allow you to state within the nature preserve known as the Shell Kelly Preserve. However, that area is a first-come-first-serve basis, so in order to experience natural camping in an environment that is protected and preserved, you need to make your reservations quickly. 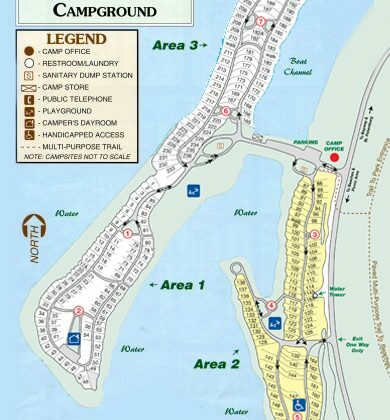 Like many other campgrounds, Fort de Soto comes with its own rules and amenities. This article will go over the details, so you know exactly what to expect when you plan a camping trip in the state park. While Shell Kelly Preserve is designated for primitive campers only–that is, tents–the campground itself has many sites that are designed for RVs and trailers of all sizes. Sites 1 through 85 is built for those with a tent, van, pop-up camper, or a trailer that doesn’t exceed 16′. Meanwhile, sites 86-236 have no size limits. All of the sites are capable of connecting to 30-50 amp service for their electrical needs. They also each come with a picnic table and a grill to be used at your convenience. Nearby, there is a camp store where you can purchase necessary items that you might have forgotten at home. It is also important to know that pets are only permitted in area two of the campground. There are occupancy limitations in the campground as well. You can only possess one combination of these groups in a single site. You are allowed to have two vehicles with a single motor home, two vehicles with a single travel trailer, two vehicles and a single pop-up trailer, two vehicles with only two tents, and a single truck that has a camping rig mounted on it. At least one adult must be attached to each site. There is also a maximum of six people on any single site. One boat trailer is also allowed for each group at a single site. If you are going RV Camping in a state park, then you’re likely curious about what sort of outdoor activities that you’re allowed to do. One of the perks of the area is that it rests on a lot of water. As such, most of your outdoor activities will likely be centered around water activities. For example, boating is allowed. There are some rules about where you can boat and how fast you can go, but you can easily rent or bring your own boat and enjoy the beautiful waters of the state park. The Barrier Free Trail is located within the state park and offers an incredible chance at some hiking through a lush forest. You can spot wildlife as you travel and make your way along the trail. This is a great hike for both adults and children. 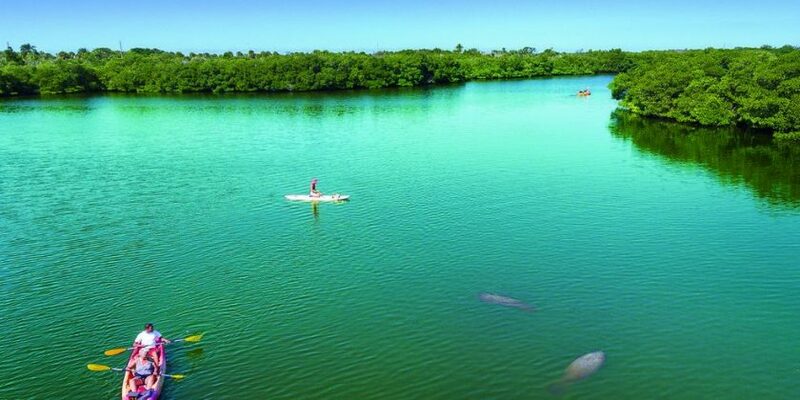 In addition, you can also fish, ride horses, swim, canoe, play disc golf, learn about the local history, enjoy a playground, and spend your time either lounging on the beach or hiking on more trails in the surrounding area. Essentially, there are plenty of activities that you and your family can enjoy without needing to leave the state park. Of course, if you want to explore further beyond the state park, then you can also go to one of the ball field parks nearby to practice your game. The trails often lead to one another, so you can easily transition from one state park to another and spend hours connecting with nature. With plenty of wildlife preserves to explore, local museums and national memorials to discover, your adventures will easily fill your days. Besides what you have on your site and all of the great activities waiting for you at the state park, the campground also offers additional amenities. They have washers and dryers on site for those who need to clean their clothes. There are modern restrooms and showers for those in tents or for those who aren’t too satisfied with their trailer bathroom. 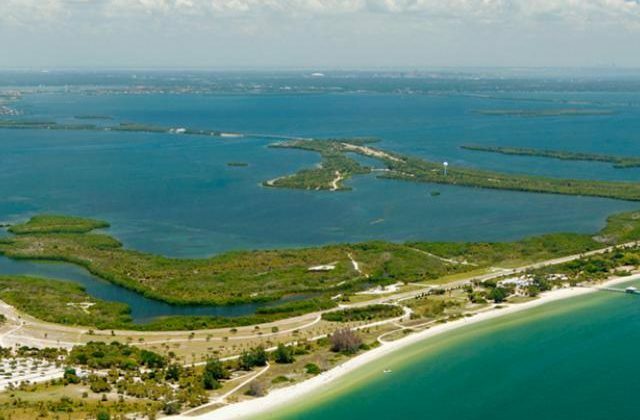 Fort de Soto is an incredible place to camp for those who love lush and pure nature. This campground provides comfort and convenience while respecting the nature around it. For more information or to reserve a campsite please visit their website or call 727.582.2100.